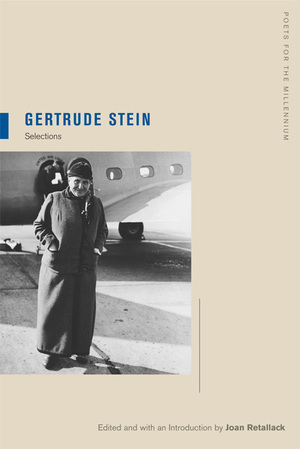 This selection of Gertrude Stein's work is taken from the period between 1905 and 1936, when the iconic modernist poet was engaged in an astounding number of still-surprising literary experiments, whose innovations continue to influence all the arts. Editor Joan Retallack has chosen complete texts or selections that lend themselves to a clarified vision of Stein's oeuvre. In her brilliant introduction, Retallack provides the historical and biographical context for Stein's lifelong project of composing a "continuous present," an effort which parallels many of the most important technological and scientific developments of her era—from moving pictures to Einstein's revision of our understanding of space and time. Retallack also addresses persistent questions about Stein's work and the best way to read it in our contemporary moment. In suggesting a performative "reading poesis" for these works, Retallack follows Stein's dictum by arguing that to actively experience the work is to enjoy it, and to enjoy it is to understand it. Gertrude Stein (1874-1946) was a major literary figure at the center of a circle of expatriate writers and artists living in Paris during the early decades of the twentieth century. She is the author of Three Lives, Tender Buttons, and The Making of Americans, among other works. The Autobiography of Alice B. Toklas was a best-seller in the United States. Joan Retallack is John D. and Catherine T. MacArthur Professor of Humanities at Bard College. She is the author of many books, including Afterrimages, How To Do Things With Words, and The Poethical Wager (UC Press).